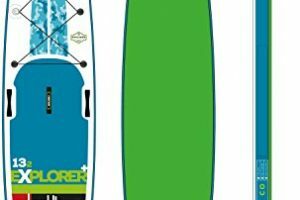 Getting the right stand up paddle (SUP) board is the key to a great surf. 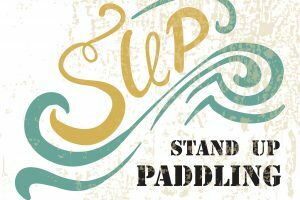 However, if you are new to all this talk about SUP or you do not have much experience, then you may be wondering what to look out for when getting a board. 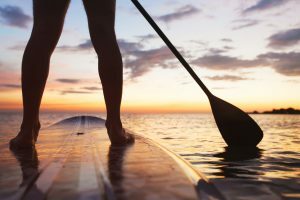 Let us break down the common stand up paddle board features for you below! 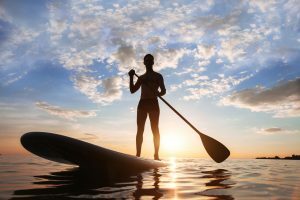 The kind of SUP you will need will depend on its use, which is whether you want an all-round board, a touring board, a fitness board or a surfing board. 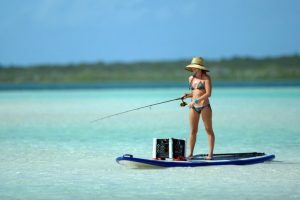 For instance, for touring you will need a fast and efficient SUP while for an all-round use SUP you should look for maneuverability and stability. This means you need to look at various features in order to determine whether an SUP is suitable for you. The hull or body of an SUP determines how it functions when in water. There are two types of bodies: displacement and planing. A displacement hull is pointed at the front end, a feature that makes it move fast in water. Also, SUPs tend to be narrow and longer but can also tip easily. They are suitable for racing or for long distances. An SUP with a planing hull is wide and flat. Though it does not move fast, it is stable and suitable for surfing and all round use. SUPs come in different sizes. There are short ones of below 9 feet, medium sized between 9 to 12 feet and long boards of between 12. 6 to 14 feet. 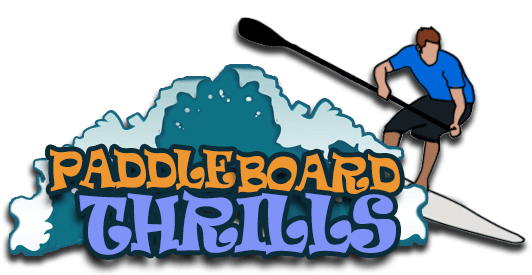 Short boards are easier to maneuver than long ones and therefore suitable for novices and children. 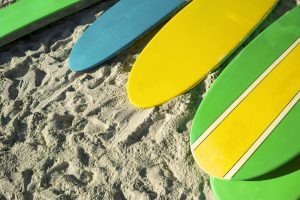 Medium sized boards are suitable for surfing or all-round use while long boards are for touring because they are faster. Boards come in different widths and you can find them as wide as 36 inches. Narrow boards are between 29 to 30 inches wide. They tend to be faster but not very stable. Wide boards measure 31 inches or more; they are more stable but slower than narrow ones. The volume of a board indicates its ability to float while with weight. Boards with high volume can support more weight. The volume does not depend on the height. You may find a short board that is thick and wide and therefore with more volume, while a narrow, long and thin board may have low volume. If you want to surf, you can use a short board but with high volume. SUPs have a weight capacity on their specs, which shows the appropriate weight for it. If a person too heavy uses it, it may not be easy to paddle because it may be too low in the water. SUPs are made using different materials. The most common is EPS foam, which comprises a foam core enclosed with epoxy and fiberglass. Other boards are made using polyurethane foam while others are inflatable or with a hollow core. For instance, boards with hollow cores are used for touring due to their light weight while those made using polyurethane foam are heavy and therefore suitable for an all round use. Fins add to the stability and tracking of the SUP. Some boards feature race fins, a large single fin or a three-fin setup. Even inflatable SUPs have either removable fins or rubber fins that are attached. These are suitable for a beginner or if you do not want to race. They provide more stability by combining length, width and weight in the right proportions. Recommended width should be between 30 to 34 inches and length of 10 to 11 feet. These have a displacement hull, are slimmer, lighter and longer but with the right volume. They are fast in water. These are heavier and shorter than touring boards, which makes them suitable for surfing due to easy turning. These need to be more than 31 inches wide to provide ample space or mat areas. 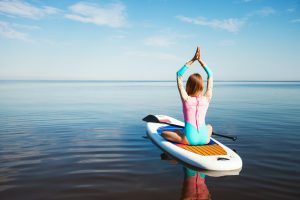 The market is flooded with many types of stand up paddle boards and knowing the features to look out for and your budget can make it easy to choose the right one for you.